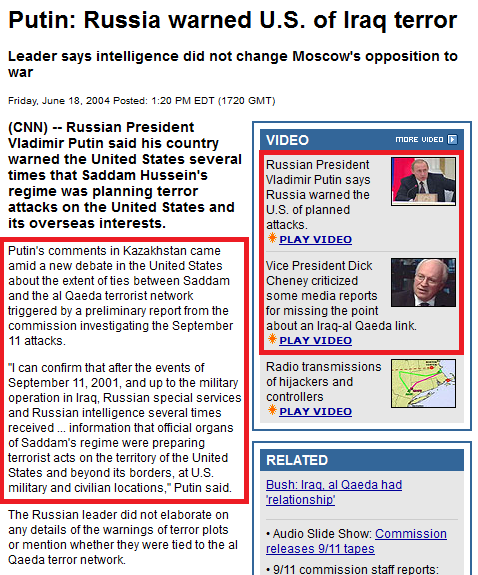 …and 3 days later, the West did “call Moscow’s bluff” by having their ISIS proxy group blow a Russian airliner out of the sky, thus triggering a building military conflict with Russia – or so history will record if we fail to build enough preemptive awareness to stop the globalists’ Syria script. 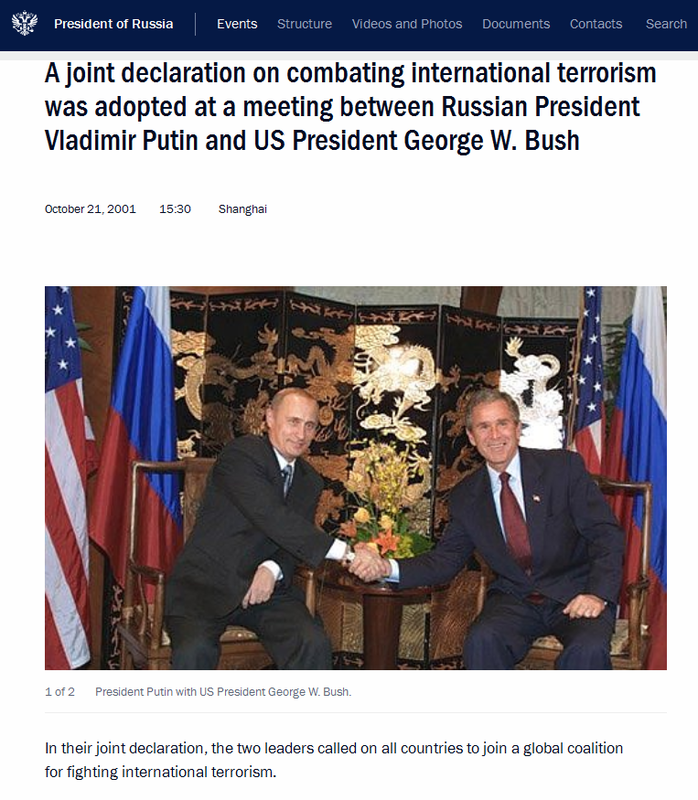 So on the 28th, the globalist East/West dialectic script called for Putin to turn the tables on Obama by suggesting the US should join Russia’s coalition against ISIS, thereby thumbing his nose at the “Masters of the Universe” (the Western Establishment). 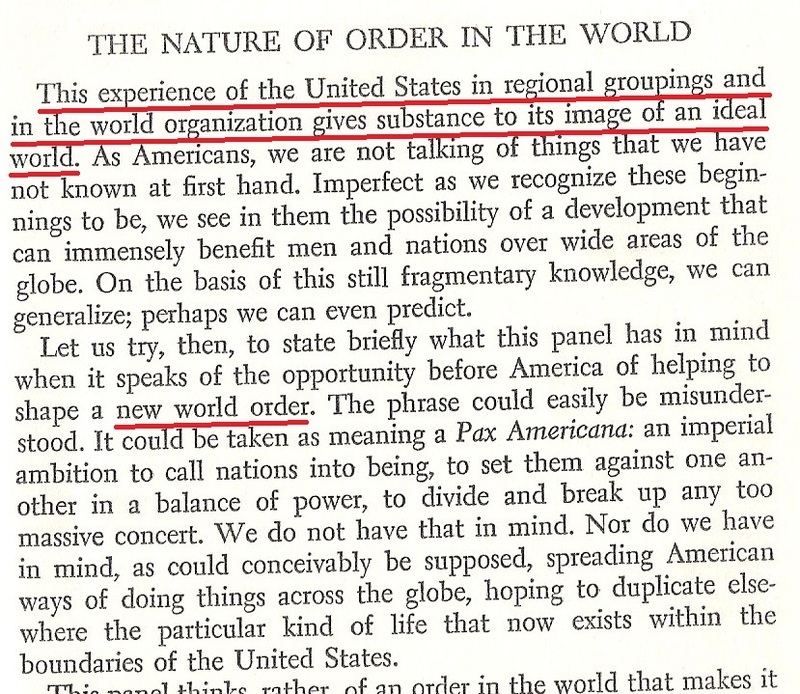 The passage also hints at the dialectic clash between a BRICS NWO and the Western Establishment. 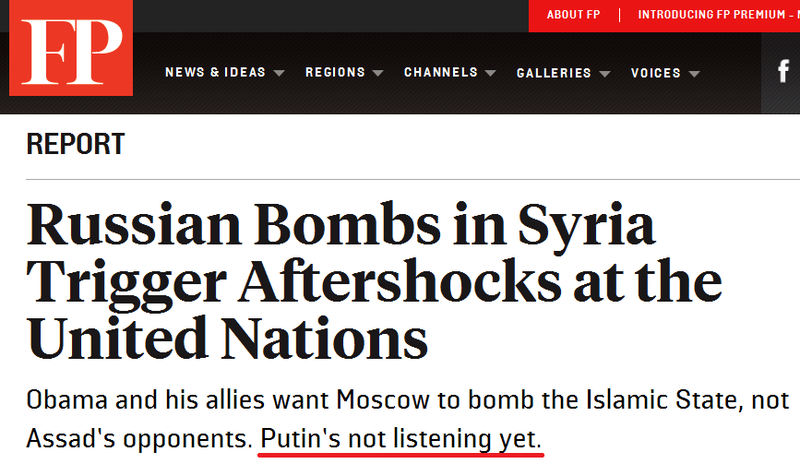 …From ForeignPolicy.com – Note what I underlined, because the script calls for the West to do something to “force Putin to listen” a little later in this timeline. 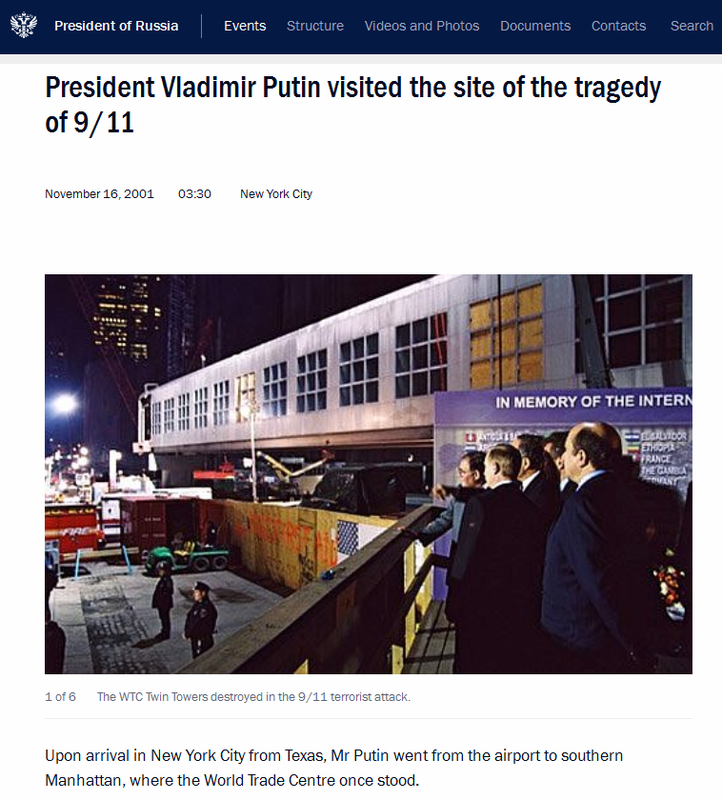 Even though the globalists told Putin that the airliner would be sacrificed well in advance of October 31, let’s stick to a conventional narrative for the moment: given that ISIS claimed responsibility for the plane’s downing on October 31, the black boxes were found on October 31, and Russian investigators arrived in Egypt on November 1, the Russians had to know that the plane was downed by a bomb no later than November 2. The very first things the investigators would have done was listen to the recorders and swab the plane’s interior for explosive residue. And pairing those results with ISIS’ claim of responsibility, they would have known about the bomb in the very first day of the investigation. 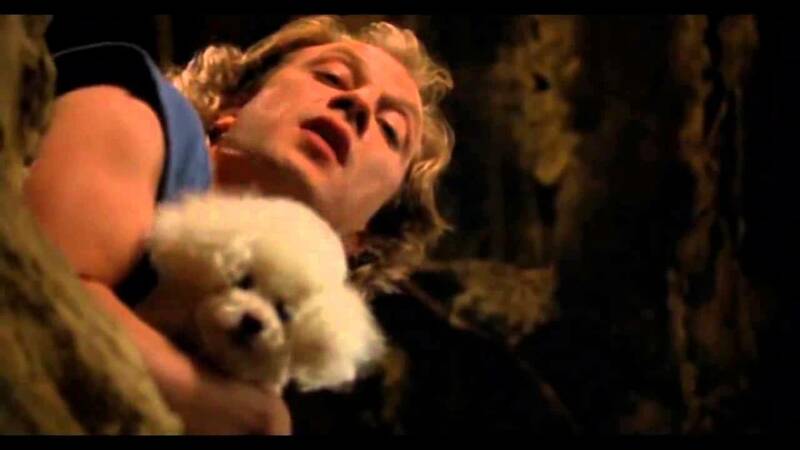 1) To “take time to do a proper investigation and find out exactly who did it.” The “evidence they uncovered” will be revealed at a later date, probably after the Paris Climate Change Summit. 2) Because the globalists wanted to put on a good show of having the West twist Putin’s arm at the G20 before the escalation began (see Addendum 8 of this entry). >>> The latest U.S. intelligence suggests that the crash was most likely caused by a bomb planted on the plane by ISIS or an affiliate, according to multiple U.S. officials who spoke with CNN. 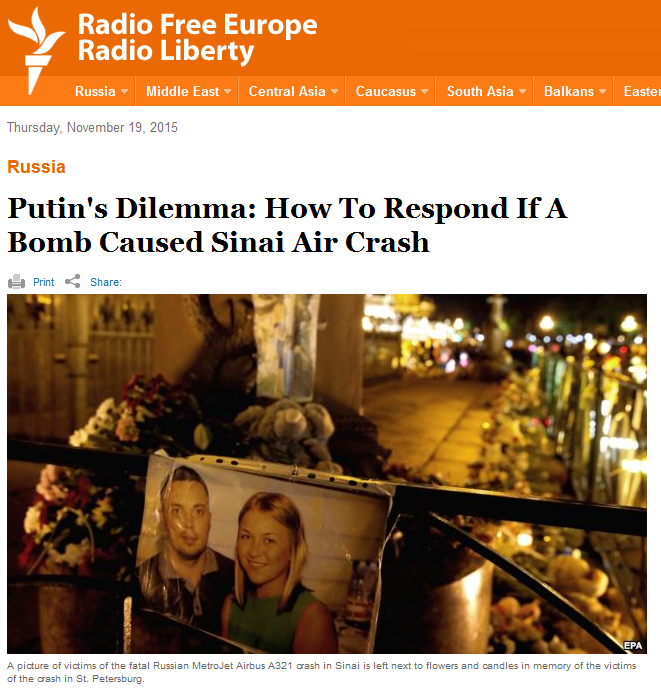 >>> Mounting evidence that an onboard bomb brought down the Russian jet that crashed on Egypt’s Sinai Peninsula, killing 224 people, poses a tough new dilemma for President Vladimir Putin: how to respond. If the theory of a terrorist attack is borne out, it will look like exactly what Islamic State militants have said it was: swift and deadly retaliation for Russia’s military operation in Syria. 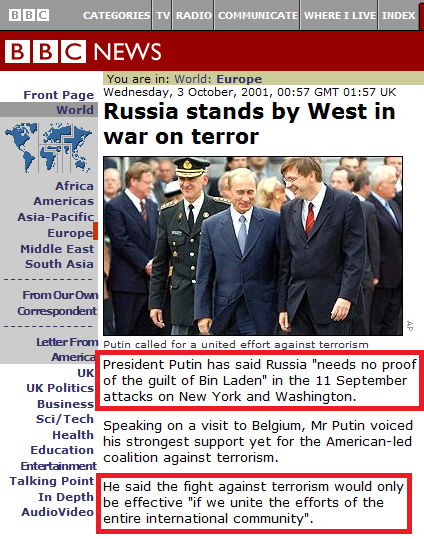 Note the perverse spin in the first paragraph of the “Blame The West” section – implying that Putin is some sort of conspiracy theorist for stating the obvious. 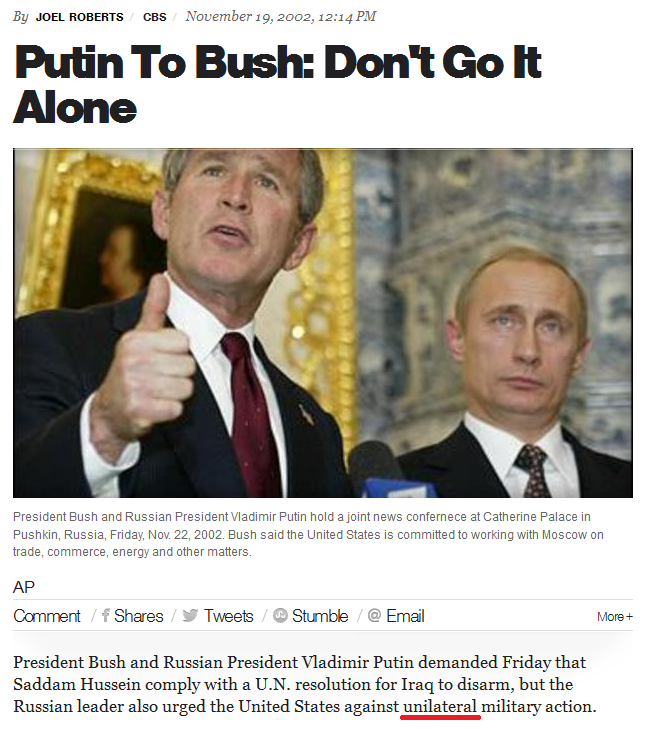 Nasty propaganda like this aids in the globalist effort to make the West look duplicitous and Putin look like a truth-teller. Also note the veiled threats in the second paragraph that were issued to Russia by “Western political and military leaders.” They certainly made good on those threats, didn’t they? And that reinforces the public perception that this dialectic conflict is real. We are watching the geopolitical version of a face (Putin) and a heel (the West) hurling accusations and insults at each other in a wrestling ring, while the commentators (the controlled media) sell the fans (the public) on the matchup. After all the dirty tricks have been played and all the scripted insults and threats have been exchanged, the wrestling match begins. 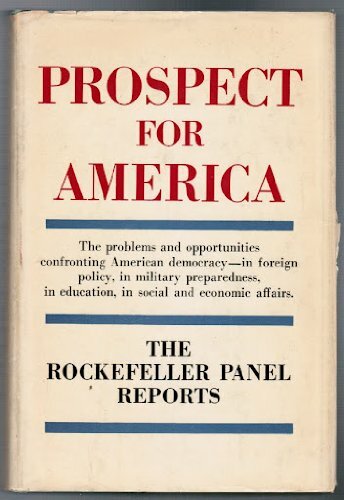 …written by a mind-fu*ker from the RAND Corporation. >>> …Moscow dispatched combat aircraft to support Syria’s Shia-linked regime, led by Bashar al-Assad. Russia is also organizing a regional alliance of Shia powers – Iran, Iraq, and Hezbollah -– to buttress Assad’s rule against armed domestic opponents and the Islamic State, both of which are Sunni. >>> More, we are starting to uncover those who speak the language of anti-terrorism while in practice working to facilitate and support it. As each additional incident unfolds, this limited hangout truth-telling will increase. First it will come from alternative news sources like RT, then it will be confirmed by government officials. It will all culminate when Vladimir Putin announces to the world that the Russian investigation into the Metrojet bombing has uncovered “smoking gun evidence” that the US ordered the attack. We should reach that “Hollywood moment” at some time between now and the end of September 2016. In the meantime, look for the West to use the “ISIS threat” as a crowd-control measure. ISIS will be their excuse to stop people from congregating in public (“for their own safety”), and if people do get out in the streets and demonstrate, the local intelligence agency will load some “ISIS guys” into a van to go shoot and bomb the demonstrators. Also watch for “ISIS” attacks (or precautionary government lockdowns) in multiple cities on Christmas and/or New Year’s Eve — especially New Year’s Eve. 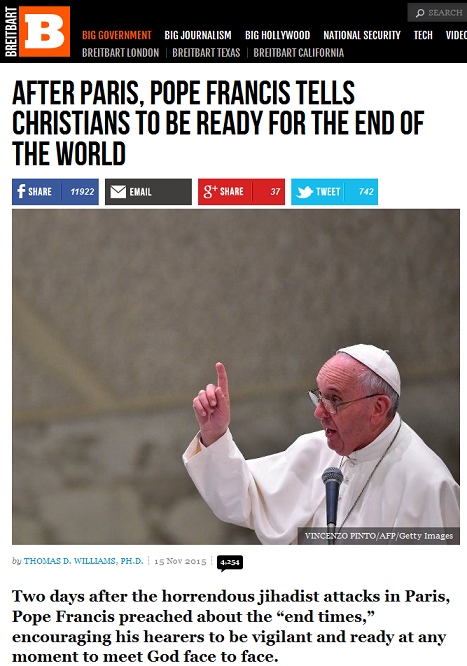 The globalists will want to start off 2016 with a bang. WILL THE FED HIKE RATES THIS MONDAY? 1) On Wednesday, the Fed released the minutes from October’s FOMC meeting, and they were widely reported as signaling the Fed’s readiness to raise rates in December. 2) On Thursday, the House of Representatives passed a bill that would change the way the Fed administers interest rate policy. …From the Federal Reserve website. Note that the “expedited, closed” meeting was suddenly scheduled on Thursday, the day the House passed the new bill. 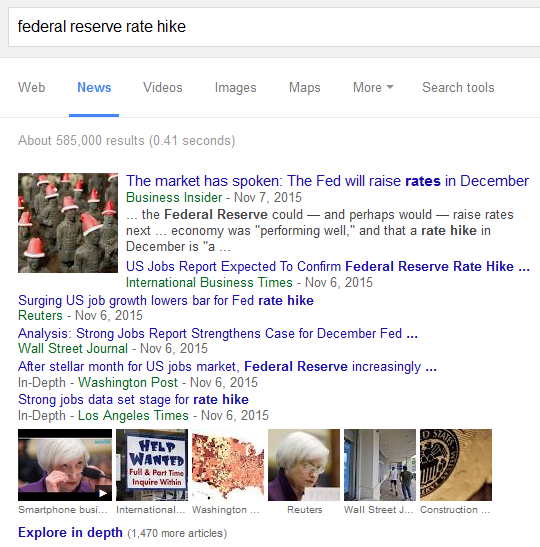 So will the Fed launch an interest rate sneak attack this Monday? If they do, it could start wreaking havoc in the emerging markets before the Paris Climate Change Summit, and that could put more heat into the BRICS versus West showdown over “differentiated” versus “shared” carbon-cutting responsibilities. 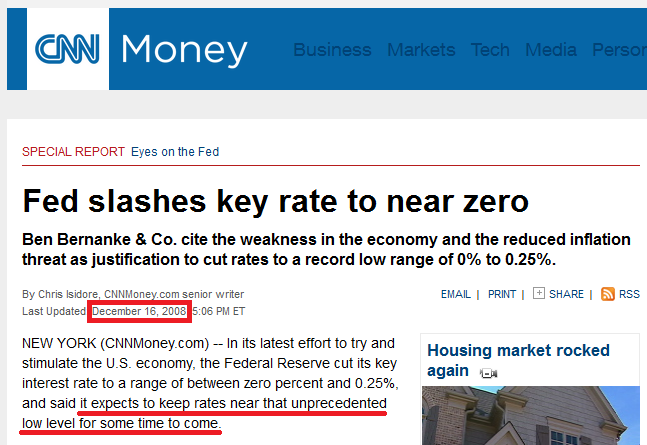 Raising rates on Monday would also allow them to avoid the perception that this rate hike was planned all along (since hiking on December 16 would mark exactly 7 years since the rates were cut to their current levels – see Update 85). This guy is another one of those Israeli/American dual citizens who create so much mischief here in the US, and his bio is quite the devil’s resume, isn’t it? 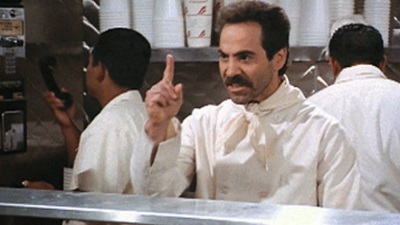 Given the globalists’ common practice of stationing handlers behind their puppet / fall guy leaders, I suspect Fischer is fall girl Yellen’s handler, and that it is he who calls the shots from behind the throne. At 70, Fischer is anything but an impetuous decision-maker. An economics professor for many years, he taught both former Fed Chair Ben Bernanke and European Central Bank chief Mario Draghi. Should the Fed surprise everyone on Monday and move the interest rates, be on the lookout for the media to connect it to the House’s passage of the FORM Act on Thursday. If the rate move is cast as a response to Congress’ attempt to increase oversight of the Fed, and if it unleashes turmoil in the markets, it will provide a pretext for “outrage” in the House of Representatives. This outrage could lead to House demands that the Senate pass the bill and override Obama’s veto, and they could even hold the budget process hostage to press the issue. 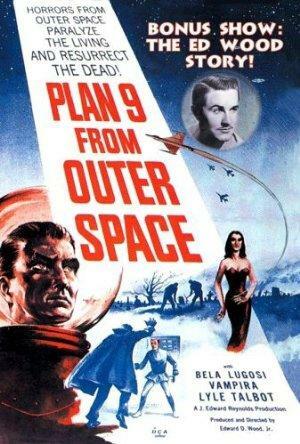 This would give us a new path to a US government shutdown on December 11. Now that the energy surrounding the Planned Parenthood videos has dissipated, a new outrage is necessary to drive a shutdown, and a “Fed Mistake” would do nicely. Don’t forget that Vatican stooge John Boehner was replaced by another Vatican stooge (and Mises Mafia member), Paul Ryan, and this could shape up to be their third attempt to shut down the government this year. 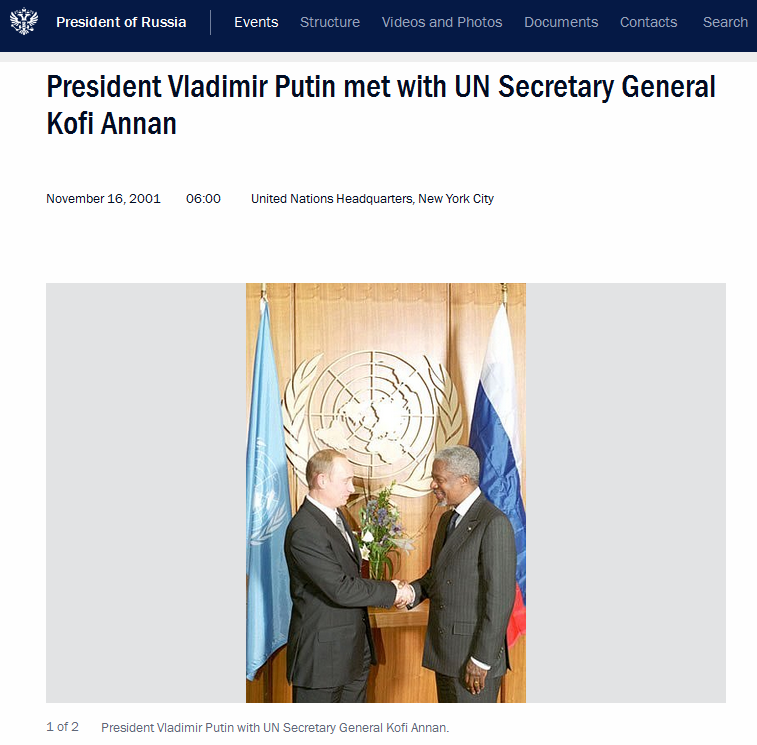 This entry was posted in Globalist Agenda Watch 2015, NWO on November 19, 2015 by kenneth. 1) Before ISIS bombed the Russian airliner, Russia had been concentrating its airstrikes against anti-Assad “rebels” / Western regime change forces. 2) After the bombing and during the G20, the West pressured Russia to stop bombing the “rebels” and start bombing the people who brought down the airliner, ISIS. 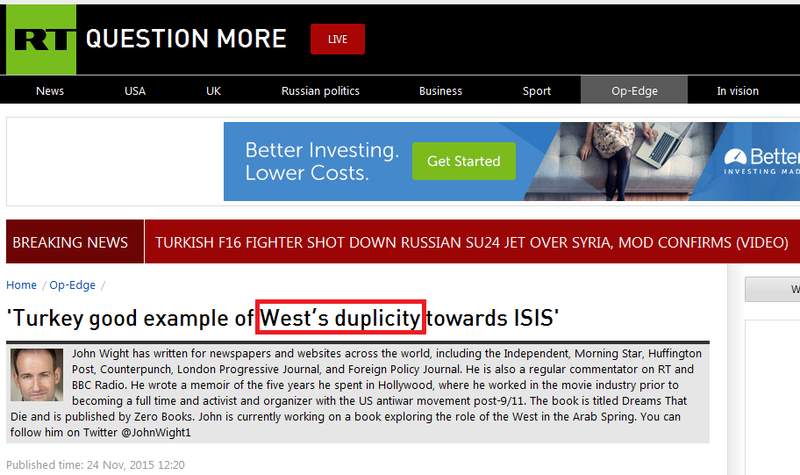 Given that the “Western” intelligence services run both the “rebels” and ISIS, and looking at these two points, can you see the motive for the “Western” intelligence services ordering ISIS to blow up the Russian airliner? 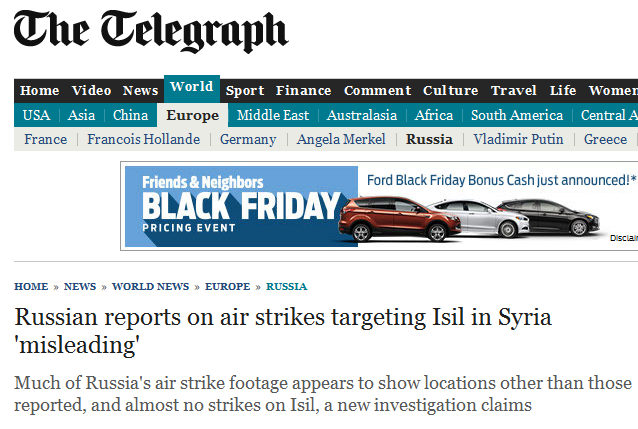 It was to draw Russia away from bombing the “rebels” and towards bombing ISIS. 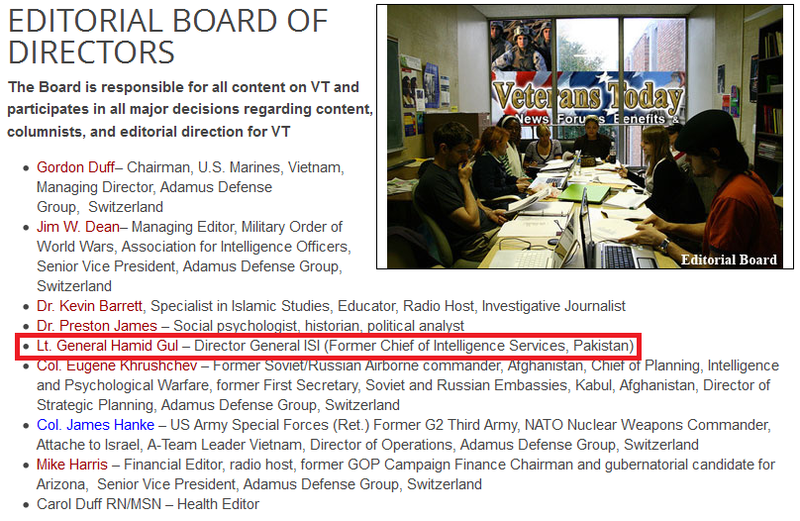 2) their intelligence services have uncovered a direct chain of command from the CIA to ISIS that ordered the attack. Ergo, the US ordered the destruction of the Russian airliner. 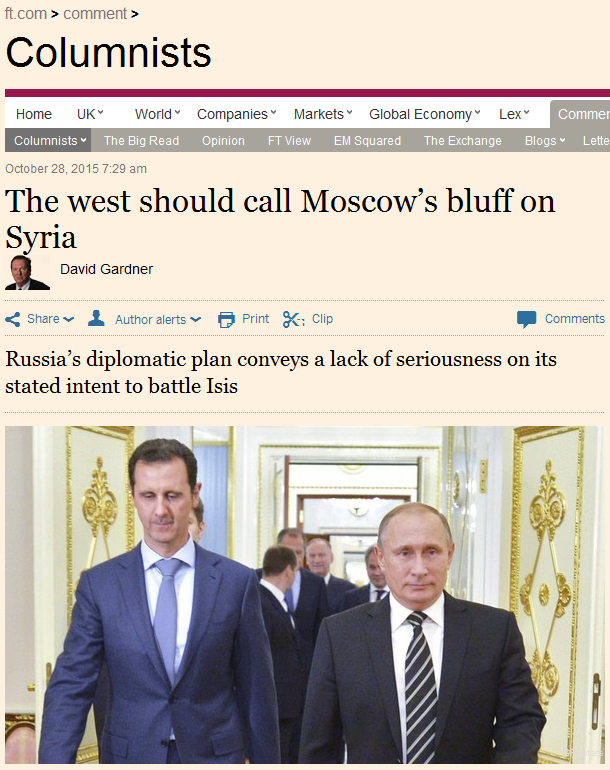 >>> Putin is criticised for concentrating Russian bombing on anti-Assad groups, not Isis. 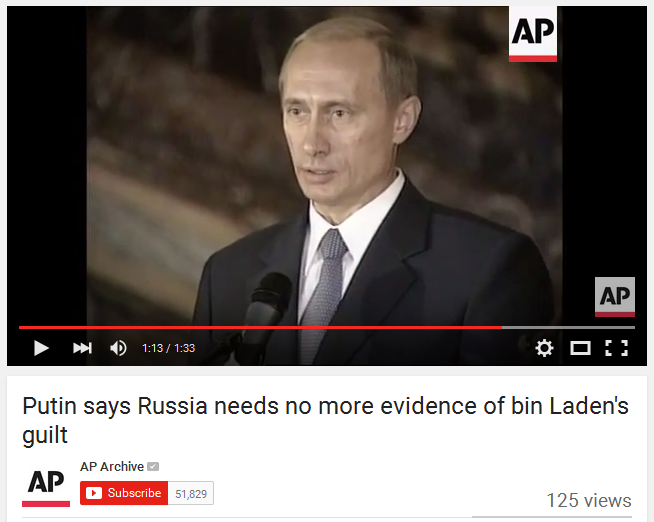 If the destruction of Flight 9268 was the work of Isis, isn’t that likely to refocus his mind? A new alliance of the West and Russia, combining with forces in Syria, might halt Islamic state, or drive it underground. 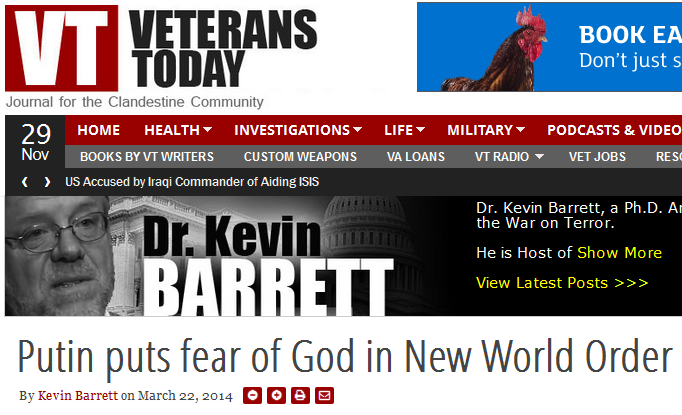 There’s an obvious downside: it would increase the terrorist danger from Isis supporters who live among us. They were telegraphing this whole thing all along. I’m sorry I didn’t catch it. I’ll put out an update on the full story as soon as I can, either late Thursday or Friday. Tomorrow morning is Starbucks day with my son. For more background information on the Syrian scenario, see Update 87. 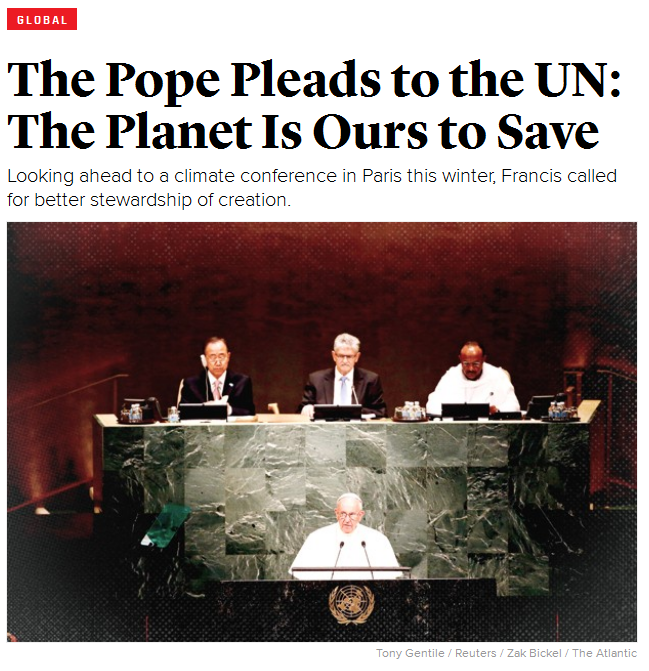 This entry was posted in Globalist Agenda Watch 2015, NWO on November 18, 2015 by kenneth. 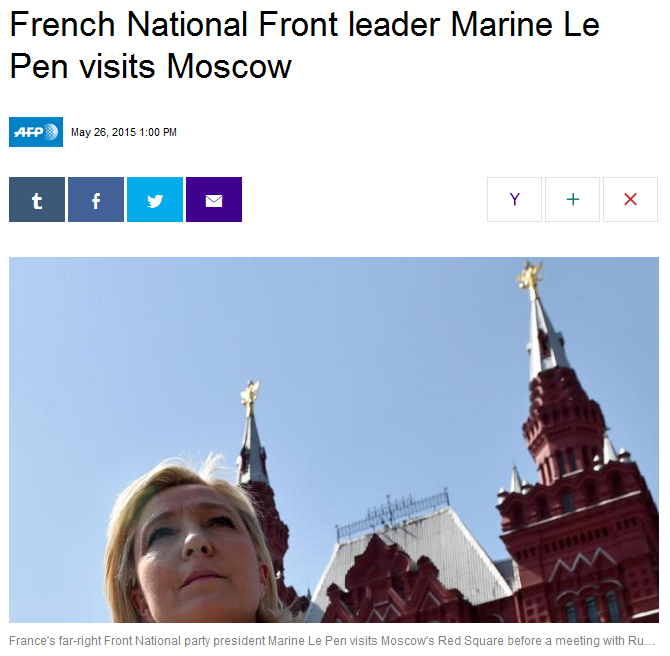 …The globalists’ “anti-establishment” controlled opposition figures, that’s who. 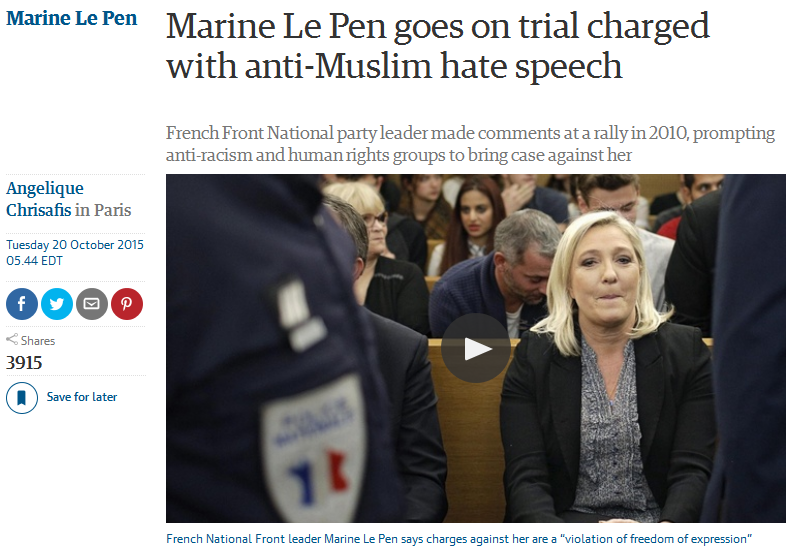 The above-pictured article is from The Guardian, and take note of its date: 20 October 2015. 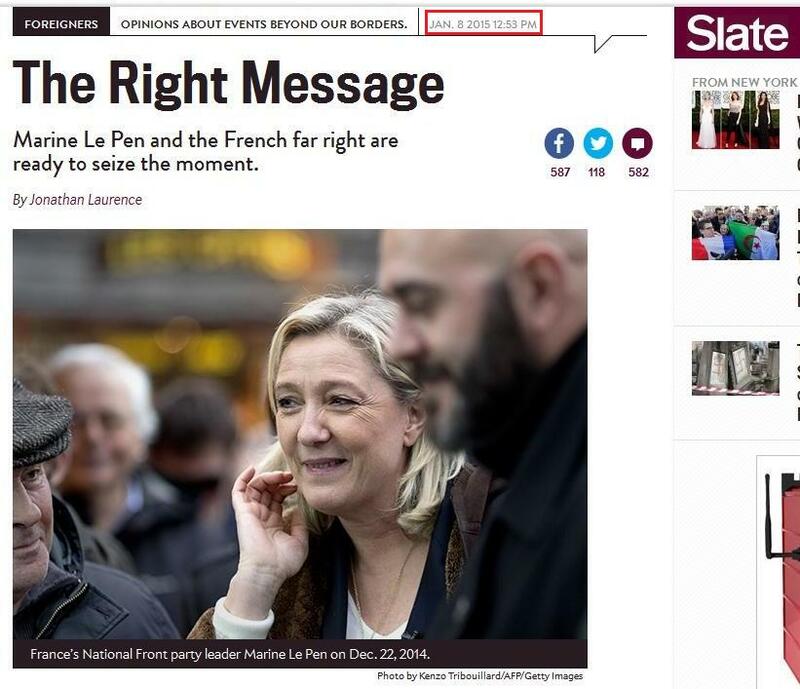 So even though the supposed offense occurred 5 years ago, Le Pen wasn’t tried until just weeks before today’s attack. Convenient timing, is it not? While she is standing trial for “daring to speak the truth about the Muslim invasion,” the “Muslims” are running wild in the streets and shooting up Paris. Can you see how she is being positioned as the “suppressed patriot who spoke out against the insane policies of the political elite”? This is done so the public — who feel like suppressed patriots themselves — will identify with her and back her. 1) The globalists are the ones forcibly holding the door open for immigrant invasions of the US and Europe. 2) The globalist intelligence agencies are the ones recruiting, training, arming, funding and transporting “Muslim terrorists” throughout the world. So why are they doing these things? To create increasing public tension over the disruptive presence of the immigrants, and then unleash that tension with immigrant-linked false flag attacks. The released tension will then be channeled through the controlled opposition figures to create movement towards New World Order goals. I wrote about this in The Illuminati strategy of tension and release. 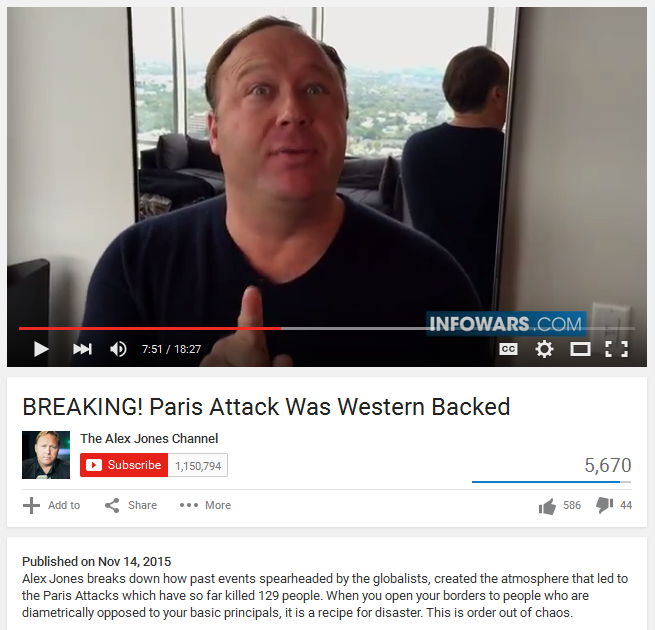 Since we can expect to hear a lot out of the alternative press as they pick apart the attacks, you might want to read this entry if you haven’t already: Throwing the Game: Why the globalists are exposing their own false-flags (and the real agenda behind the Paris attacks). I also expect some alternative sources to connect the current attacks to what happened to the Knights Templar back in 1307, so I’ll write a postscript about that this weekend. …Isn’t it interesting that this attack occurred just 2 days before a Summit that will take place in Turkey, just 500 km or so from ISIS territory in Syria? 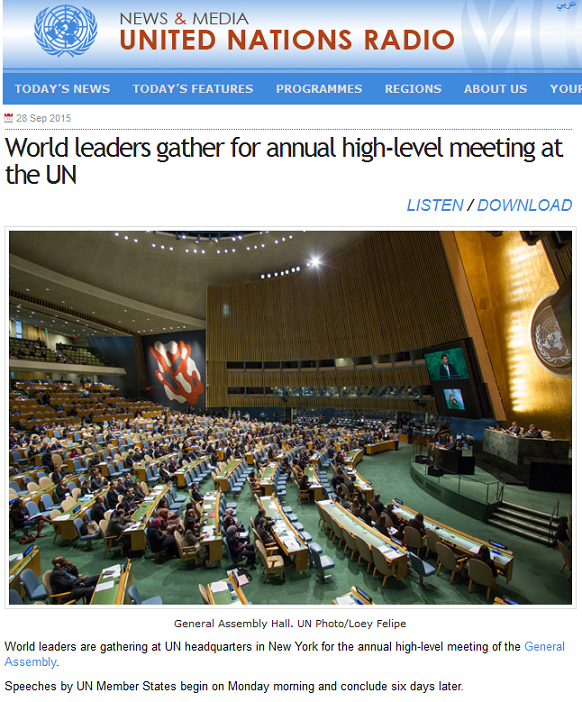 So are we looking at the beginning moves toward a UN-centered Patriot Act for the world? 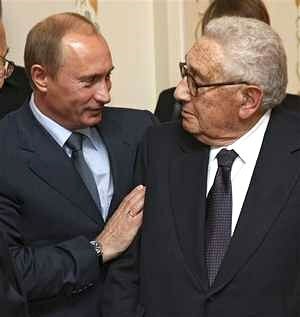 Will we see the BRICS chiding the West over their “blowback-generating” interventionist foreign policies? What kind of show will they put on, a cooperative love-in or a breakdown between West and East? 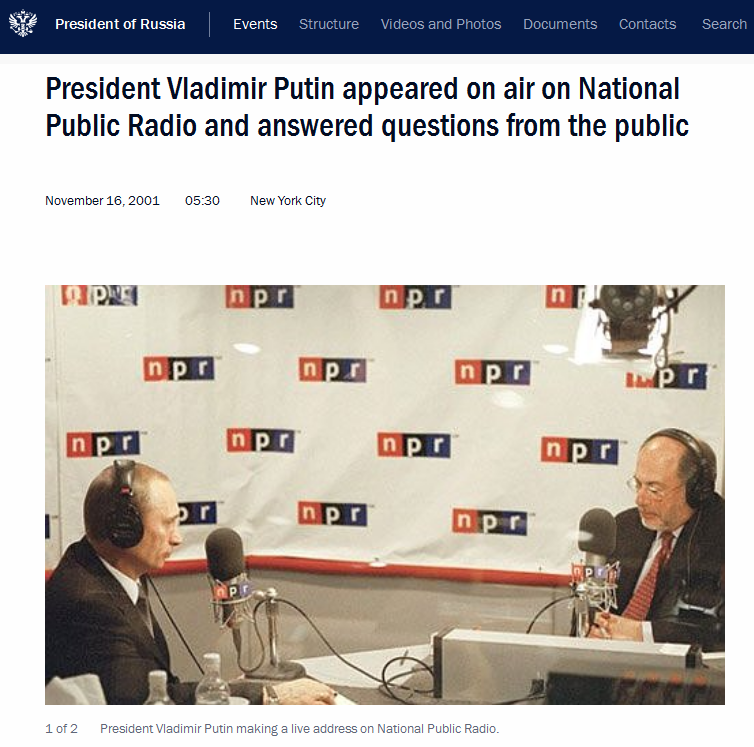 The propaganda arising from this meeting could tell us much about how 2016 will play out. 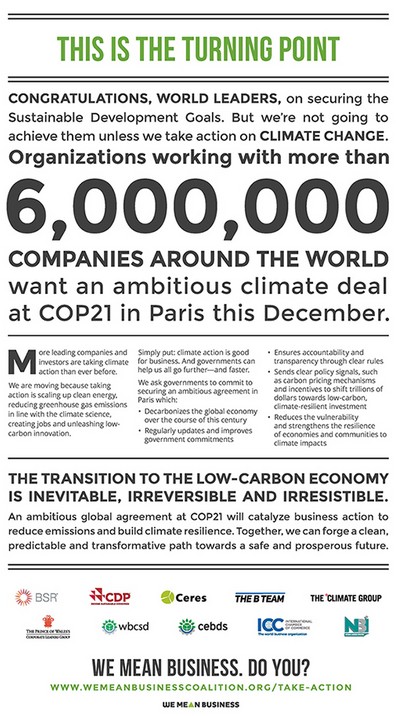 [Addendum 3 – 14 November 2015] – Here is another effect of the attacks that just occurred to me: they could be used as a pretext to block any protests at the Paris Climate Change Summit at the end of the month. From the globalist perspective, this reason alone makes conducting the attacks worthwhile. 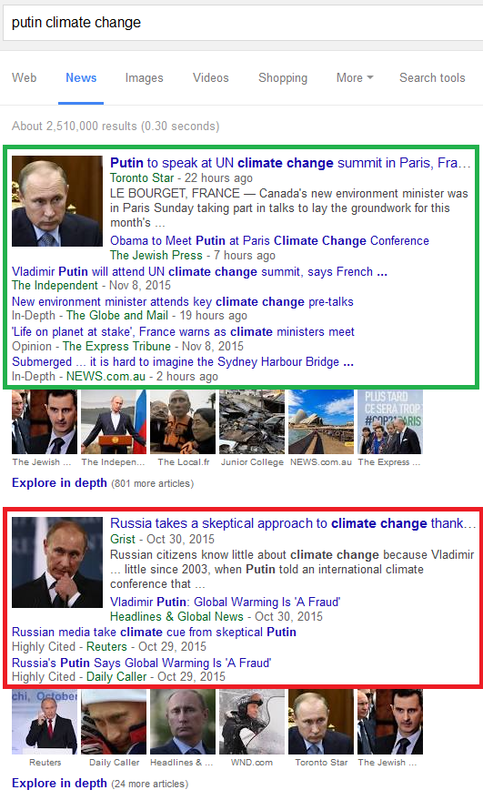 Looking ahead to the Climate Change Summit, I’m increasingly wondering if Putin will be “the hero who stops the deal.” If so, look for Alex Jones to lavish praise on him (and for the globalists to escalate staged attacks against him). It would be the trigger that touches off the final dialectic battle between West and East over the course of 2016. 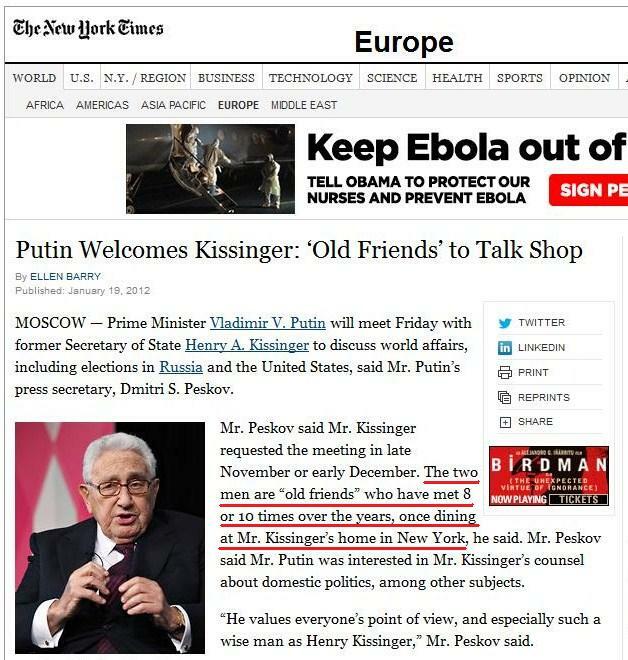 Can you see how this make-believe narrative lends credence to the fake East versus West paradigm (with the “evil” Western Cabalists scheming against the “innocent” Russian Federation)? In reality, the East/West conflict is nothing more than a propaganda exercise featuring the West as the “bad cop” and the East as the “good cop.” The evil-looking bad cop’s NWO will be defeated by the smiley-faced good cop’s NWO because that’s what the globalists have been planning for all along. >>> In 1305, the new Pope Clement V, based in Avignon, France, sent letters to both the Templar Grand Master Jacques de Molay and the Hospitaller Grand Master Fulk de Villaret to discuss the possibility of merging the two Orders. Neither was amenable to the idea, but Pope Clement persisted, and in 1306 he invited both Grand Masters to France to discuss the matter. De Molay arrived first in early 1307, but de Villaret was delayed for several months. While waiting, De Molay and Clement discussed criminal charges that had been made two years earlier by an ousted Templar and were being discussed by King Philip IV of France and his ministers. It was generally agreed that the charges were false, but Clement sent the king a written request for assistance in the investigation. According to some historians, King Philip, who was already deeply in debt to the Templars from his war with the English, decided to seize upon the rumors for his own purposes. He began pressuring the Church to take action against the Order, as a way of freeing himself from his debts. The French king’s motivations went beyond merely financial though. Looking at the things the Templars were accused of, it reads an awful lot like what our current-day bankster “elite” do on the weekend, doesn’t it? 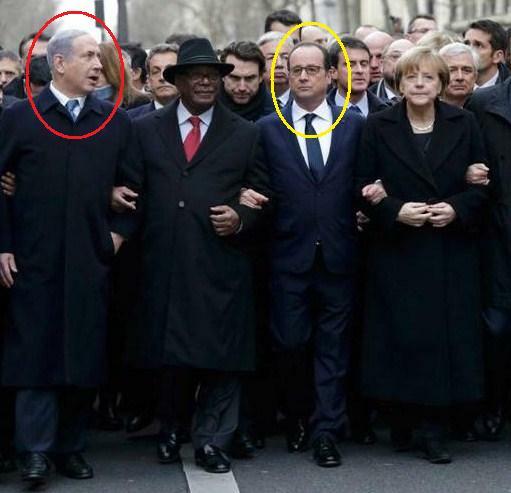 …Note Obama’s expression. It’s quite a nice little theatrical touch. Tusk’s comments are, of course, idiotic and inflammatory, and that’s exactly what the directors of this drama want: the West looking like duplicitous, insane morons and Putin looking like the mature, truth-telling statesman. Bingo again. the MSM are reporting France’s Hollande wants 3-month state of emergency: political sources. 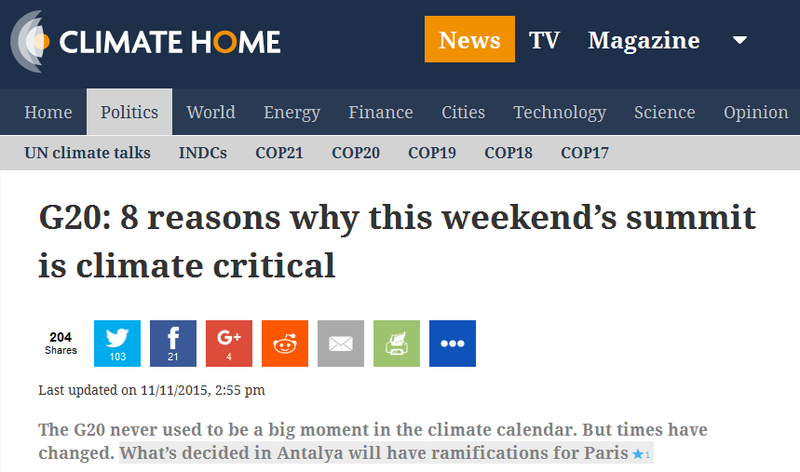 This likely means that no mass protests will be allowed during the Climate Change Summit. If any protests are permitted, they’ll almost certainly be restricted in size and contained in “protected free speech zones” out of sight and out of mind. 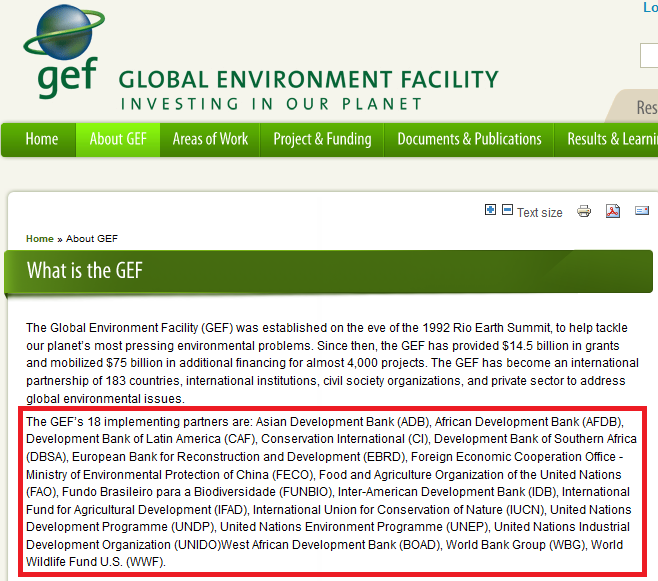 I don’t think the globalists want the public seeing any opposition to their climate change message. But what will happen to the pro-climate control marches? 1) The Western bad guys will try to get Putin to abandon Assad and stop bombing “moderate Syrian opposition forces” / Western regime change forces. 2) Good guy Putin will stand firm with his ally, insisting on the following: 1) that Assad remains in power until new elections are held, and 2) that Assad remains eligible to run for the Syrian Presidency in those elections. 3) With good guy Putin holding off the evil Western schemes for Syria, and with ever more warplanes in the sky over Syria due to the Paris attacks, an “accident/incident” will occur that leads to a direct military confrontation between Russian and Western forces. 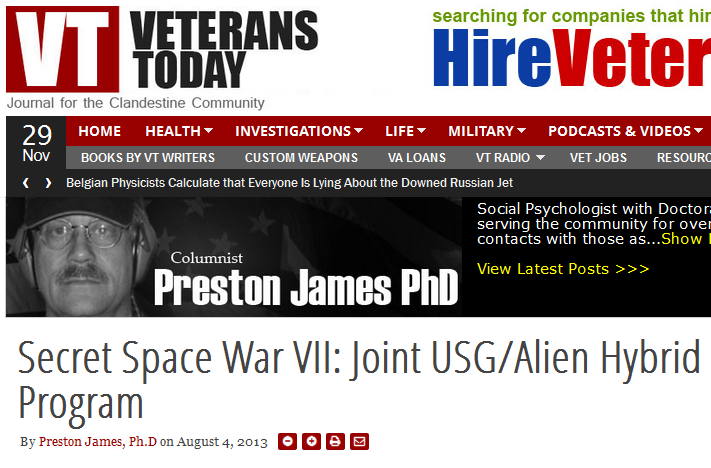 Incident by incident, skirmish by skirmish, World War 3 will grow over the following months. ISIS’ strategy has been to take over areas mentioned in the End Times prophecies, then draw the “Satanic forces” into battle in those places. In this, they have been quite successful, haven’t they? They’ve brought both sides of World War 3 into the Syrian battlespace, and all that’s needed now is the right trigger to set things off. 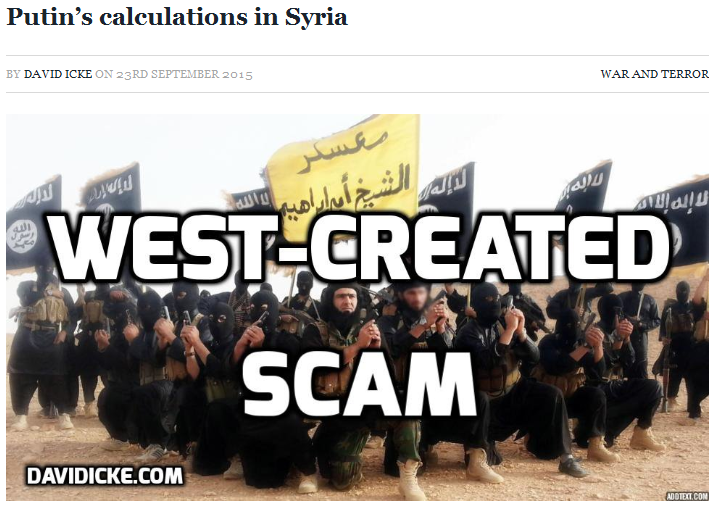 Keeping in mind that the globalist intelligence agencies control ISIS (and that the globalist bosses control both West and East), remember that this is all just a script that’s being played out for public consumption. The public have to be given reasons why they’re going to war, and as usual, those reasons are entirely made up. 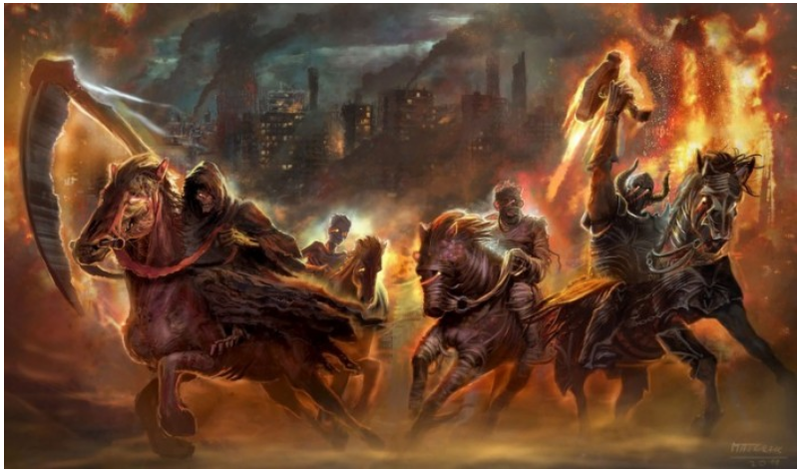 Speaking of the “End Times” and “Jesus’ return,” you might want to read Obama and the 2nd Coming to prepare yourself for any religious craziness you might see unfold next year. 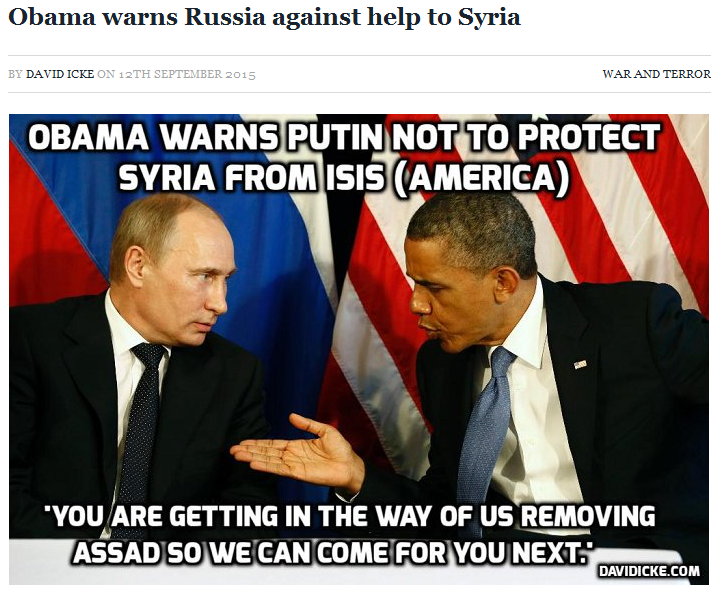 The globalist choreography of the whole Syrian conflict is getting ridiculously obvious. 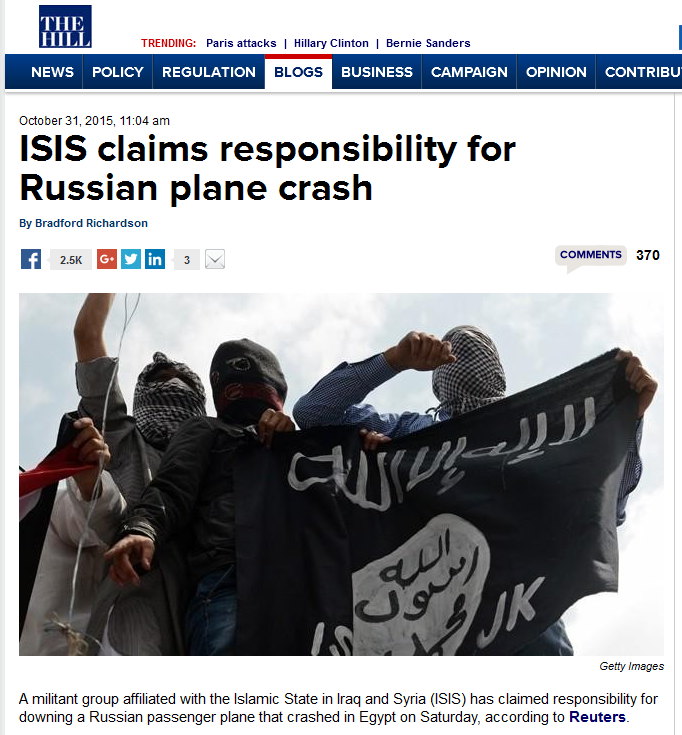 The MSM are now reporting Russia Says Bomb Downed Plane in Egypt and Intensifies Attacks on ISIS. So after dragging their heels for weeks over what caused the plane crash, and on the day after the G20 Summit ends, the Russians finally announce it was a bomb. Nothing fishy about that timing, eh? 4) one publicly-released smoking gun connecting the Western intelligence services to the airliner bombing. 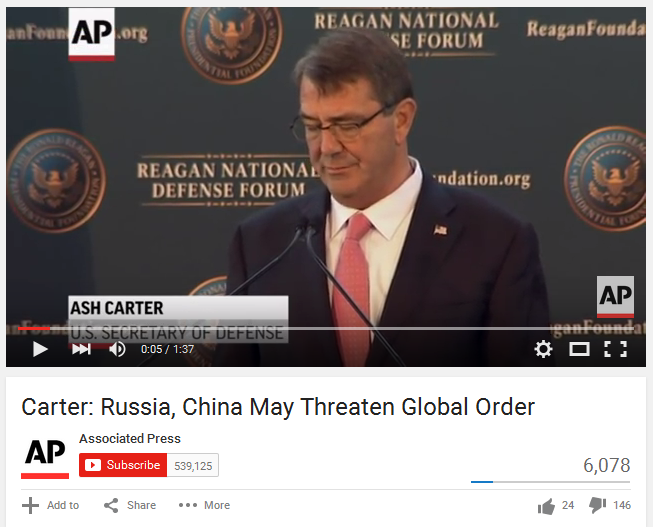 [Addendum 12 – 17 November 2015] – Another covert US attack against China? Looking back to Addendum 10 of this update, we recall that the “bad cop” West wants “shared” emissions responsibilities (with all nations cutting equally) and the “good cop” East wants “differentiated” responsibilities (with the developed world cutting more). 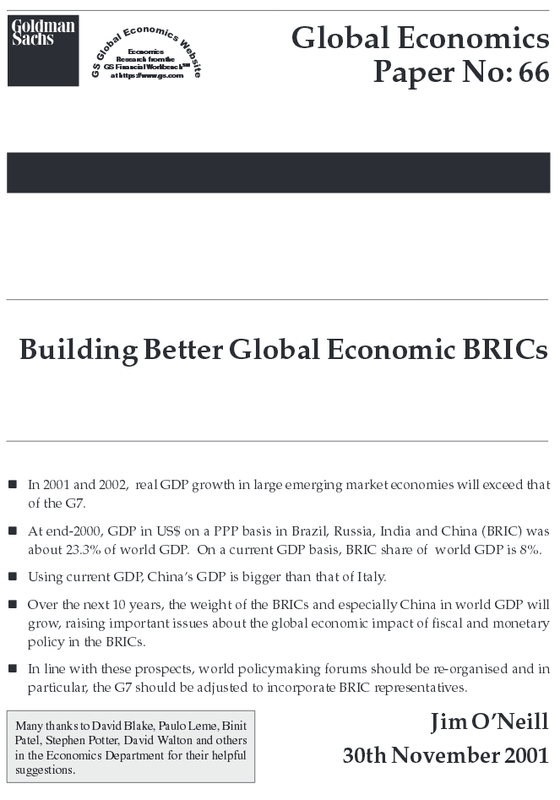 The fact that the word “differentiated” appears in the G20 communique tells us that the BRICS didn’t give in to the West on climate change, just like Putin didn’t give in on the matter of abandoning Assad and stopping strikes on Western regime change forces in Syria. 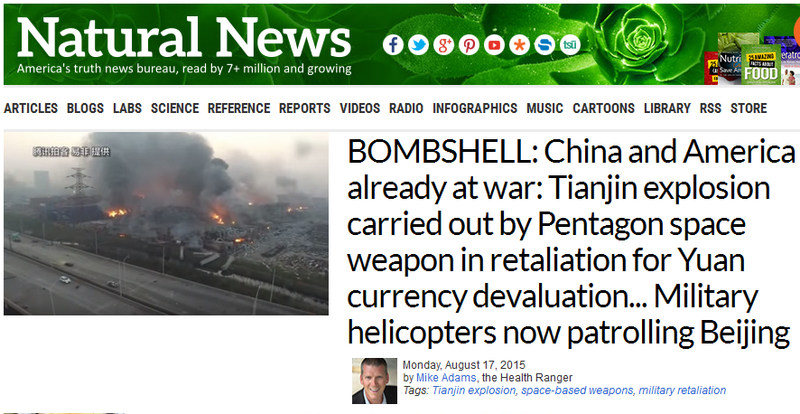 The basic gist of the propaganda line such sites are conveying is that the US “unipower” is trying to intimidate China with these “attacks” in order to maintain America and the dollar’s “hegemony” over the world. So according to such a narrative, today’s chemical explosion in China was retaliation for not giving in to the West’s demand for “shared” climate change responsibilities. Although this covert attack meme is limited to the fringe media right now, look for it to make its way into the mainstream when the BRICS finally make their big move. It will be used to justify Chinese military action, and It’s all part of the fake East versus West dialectic conflict that will bring in the NWO. 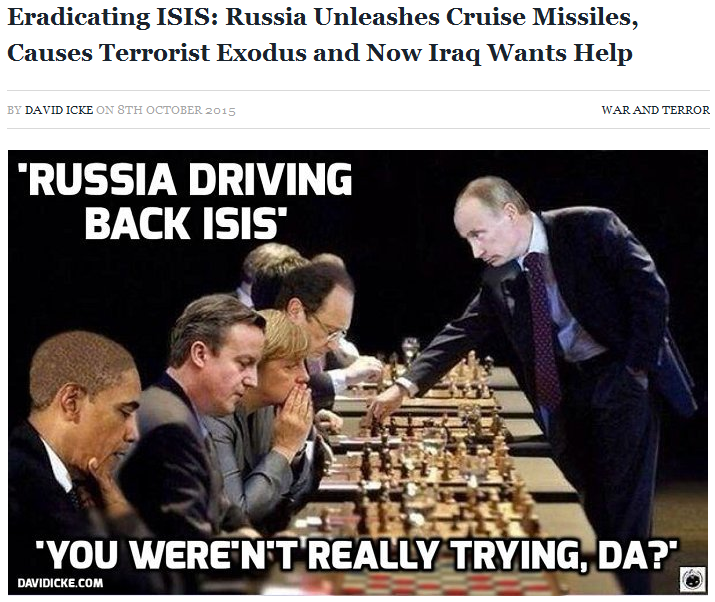 [Addendum 13 – 17 November 2015] – Are the Russians intensifying their attacks on Western regime change forces? 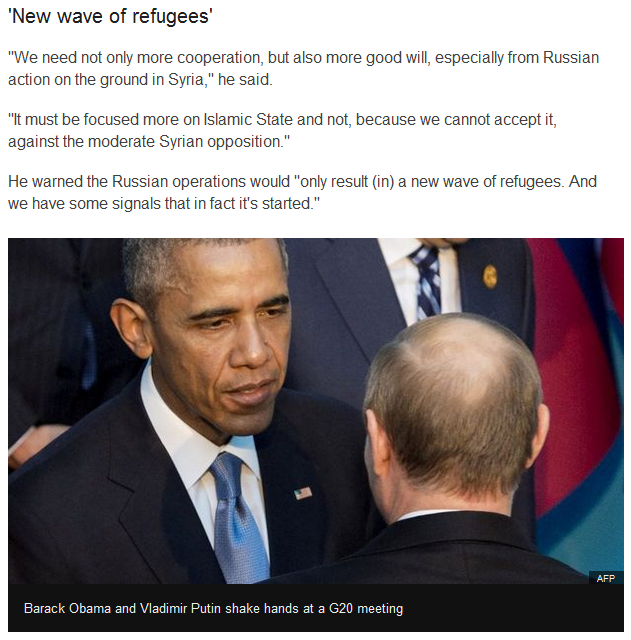 So on the day after the G20 Summit, during which the West told Putin to back down due to the airliner bombing and Paris attacks (see Addendum 8), the Russians launch a massive strike on what might actually be the “anti-Assad rebels.” If the Russians are indeed massively increasing their attacks against the “moderate opposition fighters” / regime change forces, what do the globalists have scripted as the Western response? An attempt at imposing a Western-enforced no-fly zone? You can imagine what that would lead to. 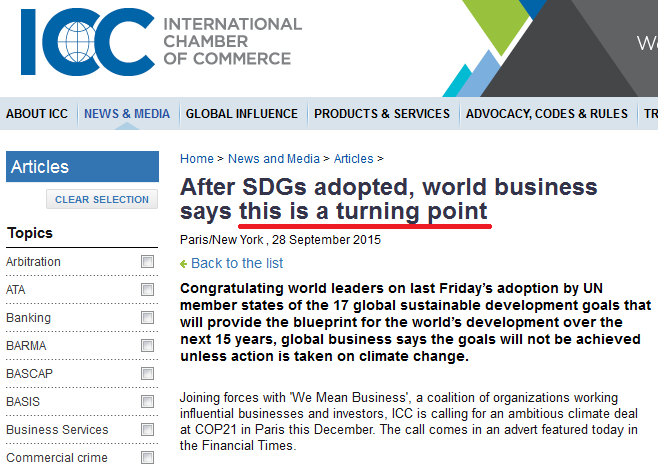 This entry was posted in Globalist Agenda Watch 2015, NWO on November 14, 2015 by kenneth. 2) There is the December 11-16 timeframe that features the final day of the Paris Climate Change Summit (on the 11th), the budget deadline for the US government (on the 11th), and the next FOMC statement on interest rates (on the 16th). …there is a good chance that we’ll finally see the Fed zig (by tightening) while the rest of the world zags (by loosening). With a tightening at the Magic 7 mark, the Fed will start a cascade of debt defaults by nations, companies, and individuals that cannot afford to roll over their dollar-denominated debt at a higher interest rate. 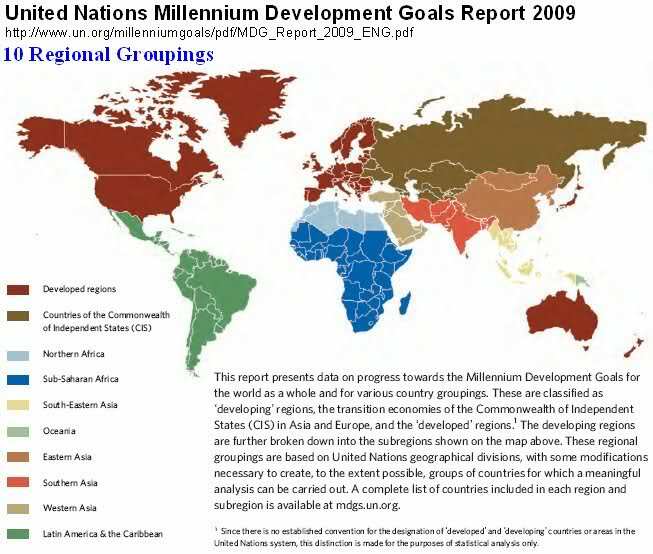 The squeeze this will put on the “emerging market” nations will drive an increasing move away from the dollar and towards the BRICS, and this will provide a great way to herd the world towards the SDR-based multilateral financial system the globalists have been constructing. 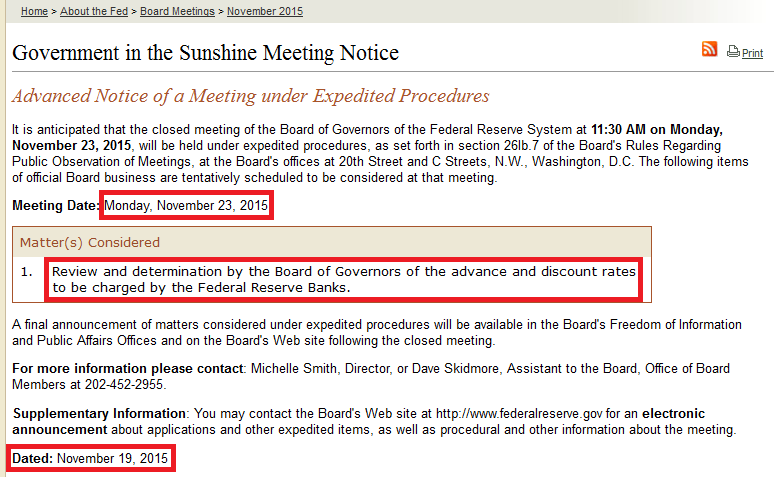 Needless to say, the Fed would have difficulty justifying the raising of rates if the US government were shut down. So this suggests that a December 11 shutdown either won’t happen or will be very short (lasting only a few days). If the globalists do go ahead with a short shutdown (to make the US government look dysfunctional to the rest of the world), the press will suggest that it was due to a deal made between House Speaker Paul Ryan and the House Freedom Caucus. They’ll say that Ryan offered them a chance at a December shutdown if they didn’t oppose the debt limit extension. Congress would then swiftly bypass the shutdown before the FOMC meeting. Is Putin merely holding out for a better deal for Russia, or is he going to “heroically” stop the agreement from happening? Looking ahead into 2016, the globalists are facing a hard deadline in September if they want to go through with their Obama-related prophetic bullsh*t. This means that 2016 has to be the year they trigger the next big economic and military crisis. By starting the ball rolling on December 16, they can begin the big ramp-up of economic troubles and military confrontations that will culminate next Fall. Our mission, then, must be to find a way of pushing them back past September. If we can do that, their whole timeline will be thrown into disarray. 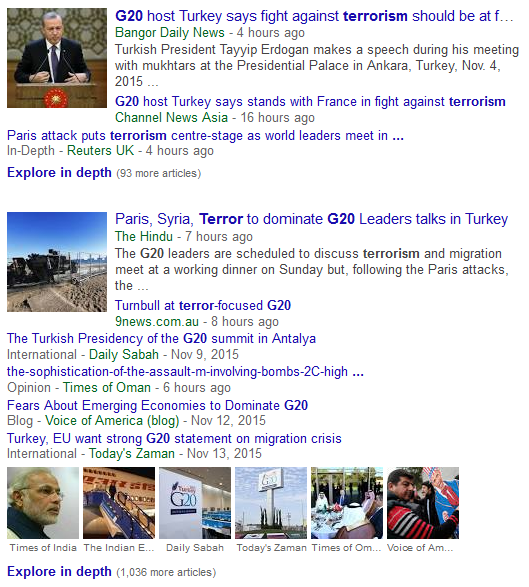 Speaking of the G20 and the quest for a new monetary system, can you guess which nation will host the G20 in 2016? Yep, it’ll be China. So if you take the talk of moving to a new monetary system and put it together with BRICS-leader China’s hosting of the G20 next year, can you see how a December Fed rate hike would facilitate things? “The International Chamber of Commerce (ICC; French: Chambre de commerce internationale (CCI)) is the largest, most representative business organization in the world. Its hundreds of thousands of member companies in over 180 countries have interests spanning every sector of private enterprise. 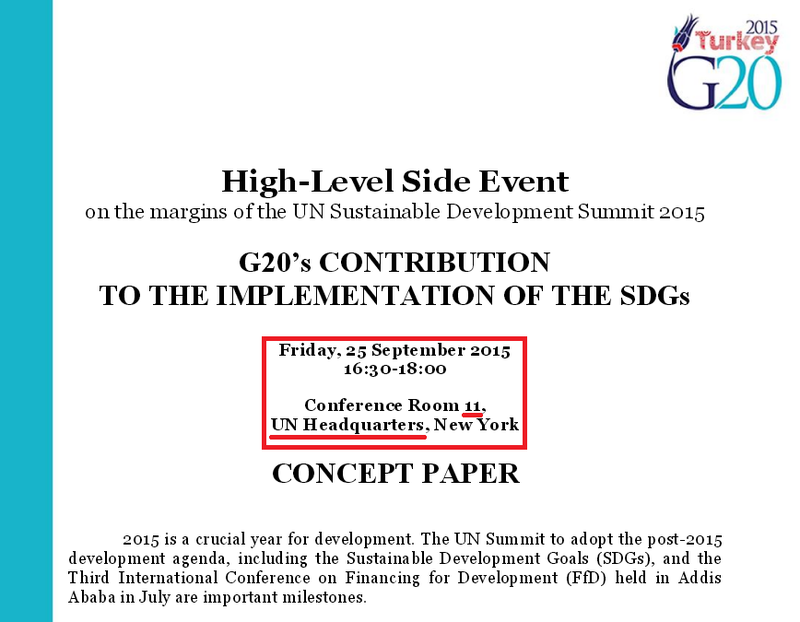 …The multilateral banks and the UN. It’s all quite a pity actually. 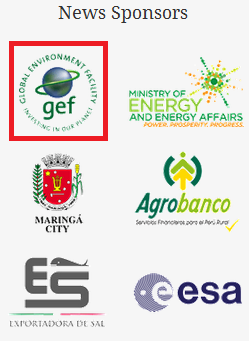 Transitioning away from “fossil” fuels is something I’d like to see happen, but not if it’s done by this pack of elitist deceivers, thieves, and tyrants. Guided by their self-serving, obsessively-controlling hands, the whole exercise is bound to be an exorbitant, painful, freedom-destroying debacle. 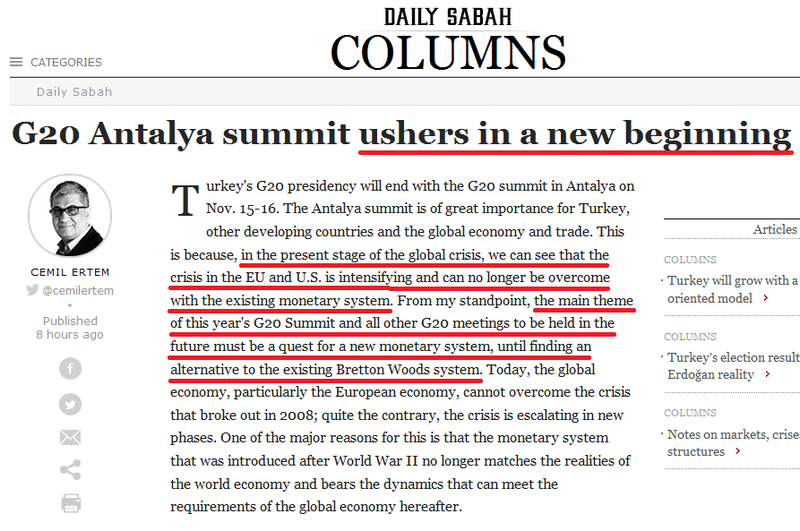 (Note 3 – 13 November 2015) – On the sidelines of the G20 Summit, we’re likely to see BRICS officials complaining to the press about America’s obstruction of both the IMF’s quota reform and the yuan’s addition to the SDR basket of currencies. This complaining will be publicly seen as escalating to heavy-duty tension if the IMF’s board fails to add the yuan by the end of November. Should the US be the source of “something really surprising and unexpected,” it would fit perfectly into the World War 3 buildup. Then again, the globalists might want China to get its foot in the SDR’s door before the hostilities begin. That way, the door will be open for China to bring in gold to save the IMF when the time is right. It’ll be interesting to see how they play it. 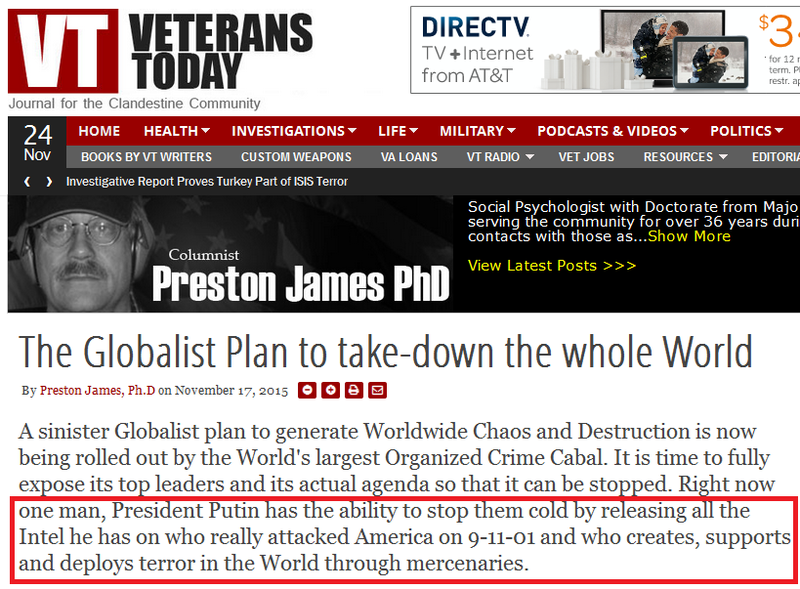 This entry was posted in Globalist Agenda Watch 2015, NWO on November 9, 2015 by kenneth.